When looking for a motherboard for the computer system, it is important to take your time and carry out intensive research to get the one that will work out best for you. This is where you will have to compare the various options in the market to get the one that has all the features needed to work in the right way. You can read reviews that have been written by people who have used them before to get first hand information on the ones to get and the ones to avoid altogether. Before you even go ahead and pick the mother-board to use, it is important to select the right CPU that will be used by the deviceto avoid making blind purchases. The device usually supports only one kind of processor like the Athlon 64 or Pentium 4. The CPUs normally have different connectors which ensures that a person cannot plug in the wrong device in the wrong machine. The speed of the CPU is also important as the devices normally support up to a certain speed of the processor model. This should be quoted on the device for one to choose the most appropriate one. Inspect the socket type found on the CPU to ensure that it is compatible with the main board you purchase. The drive and memory format are also very important as the device you choose dictates the amount and type of RAM that is used. This is where one can either get RDRAM, DDR or SDRAM with around 1 Gig worth of performance. Thus it is important to ensure that the device you choose supports the required amount of memory to use it without any complications. 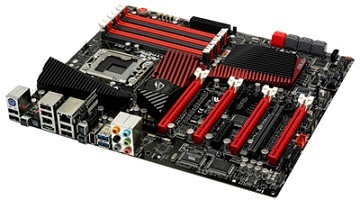 Motherboards normally come with different types of connections that are used for the hard drive with the most common formats being SATA and ATA. One should also consider the USB ports as well as the PCI slots as this determines whether you can use add on cards like sound cards, modems and Ethernet cards. You need to get one that supports these and has the number of slots that are required for one to use the device effectively. This also helps you know whether you need a Firewire point that will be used for editing and capturing video. 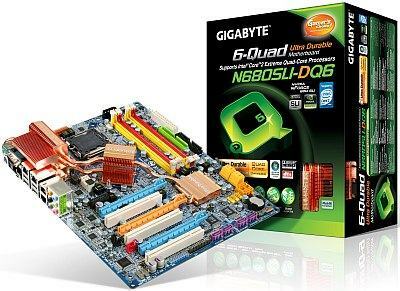 The PCI graphics cards or the AGP are also very important elements to consider when one wants to get the right main board. This is where one needs to determine the cards they will be using to get a device that can handle the cards with ease. This is because there are 2 main ways that can be used to connect the graphic cards i.e. via the PCI or AGP slot. Choose devices that have built in networking, sound and video features as this helps to save a lot of time, money and energy that would have been used to buy separate cards that will be used for the process. This also makes the device more exciting and fun to use.